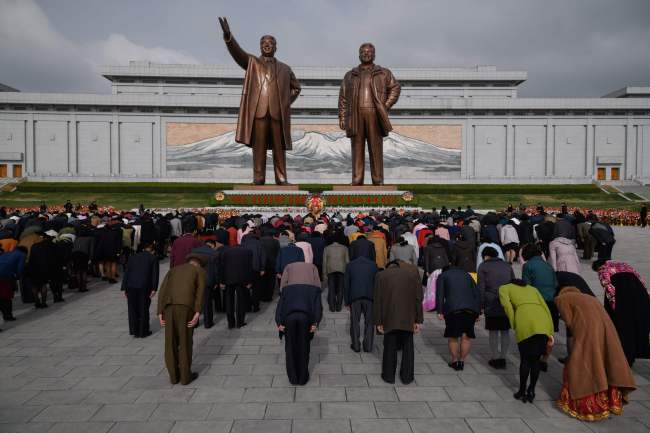 North Korea appears to be marking the birthday of its late founder on Sunday without provocations ahead of its planned summit talks with South Korea and the United States. Kim Il-sung's birthday, which falls on April 15, is North Korea's biggest national holiday, called the Day of the Sun. The North has held a festival every two years since 1982 to mark the birthday of the late founder. This year's event kicked off last Wednesday and will last until Tuesday. 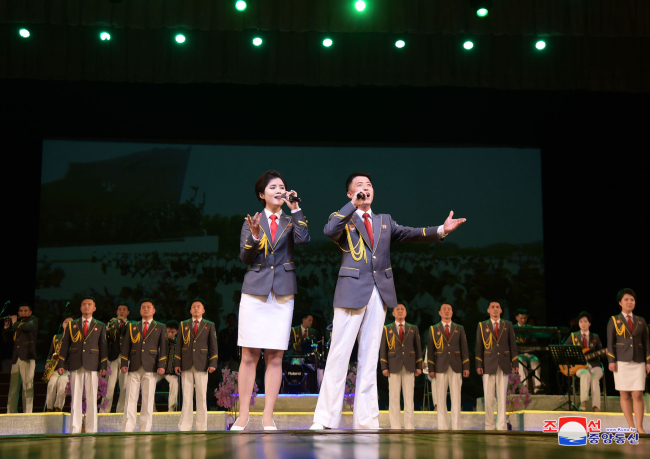 The North held cultural and sports events this year, apparently refraining from any provocative acts, which is in contrast with the past few years, when the holidays were accentuated by a missile test or a military parade. In 2016, the North test-fired what was presumed to be an intermediate range ballistic missile, which was followed by a large-scale military parade the next year in time for the late founder's birthday. The changed mood this year comes as North Korea is preparing to hold summit talks with South Korea and the United States. The two Koreas' leaders will meet later this month, and their summit will likely be followed by a summit between North Korea and the US either in May or June. North Korea's Rodong Sinmun, the newspaper of the Workers' Party of Korea, didn't touch on sensitive issues, such as nuclear armament, in its Sunday edition, and instead focused on recently improved ties between North Korea and China. The newspaper reported that North Korean leader Kim Jong-un met Song Tao, the head of the international department at the Central Committee of the Chinese Communist Party on Saturday. Song led a Chinese art troupe to join the ongoing festival. It also committed two pages to stories and photos related to Song's trip to Pyongyang and his schedule.